Last year I received an excellent book called The Big Book of Preserving the Harvest and it’s been a great resource on these canning adventures. I researched some basics of canning & found some good recipes too. 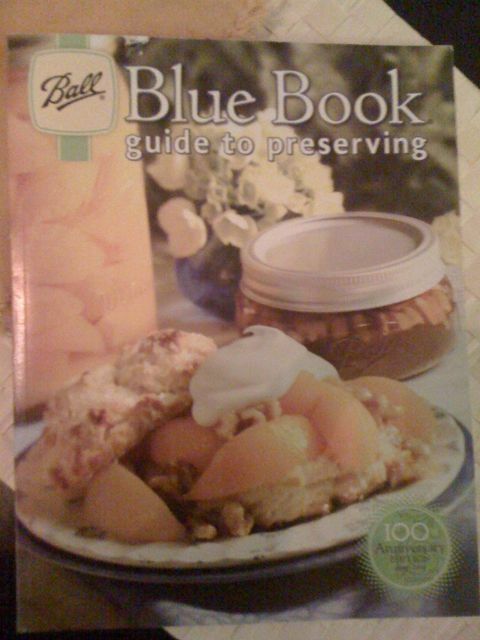 But our friend and neighbour Carolyn suggested that the best canning resource ever is the Ball Blue Book. Carolyn should know because she is one of the most prolific and formidable canners out there. Her black cap jam? Mmmmmmm…. And don’t get me started on the chutneys! What do the Ball people know? Well, they have been at it 100 years, for one thing. They also make all the jars and equipment for canning so they know of which they speak. The Ball Blue Book is no longer blue, incidentally. Their updated modern look is all lime green and black, looking both sleek and traditional somehow. Way to re-brand for a new audience, Ball! What arrived in the mail last week but my very own copy courtesy of canning pro Carolyn. It is an excellent resource with clear instructions, good illustrations and troubleshooting tips. Hopefully between Carolyn and Ball we’ll get our act together and figure out why our jellies are more like sauces.